In the wake of news that her husband has been tragically killed in a train accident, Virginia Bakely, a 1950's suburban housewife and mother afflicted with a heart condition, unwittingly embarks on an emotional and psychological journey of reawakening. She finds herself traveling through two distinct spaces of time: one in her typical 1950's home with oven timers, bicycles and rubber gloves, and the other in the F.W. Walker Music Auditorium when she was a 19 year-old cellist in the student orchestra. One might say that her experiences in the theatre lie somewhere between dream and delusion, speckled with fragments of memory. Still they are very real and lead Virginia to a buried truth and a resurrected love. As she struggles to reconcile predictable feelings of loss and grief with newfound independence, Virginia finds herself at a crossroads where she alone must answer the question "What sustains the human heart?" 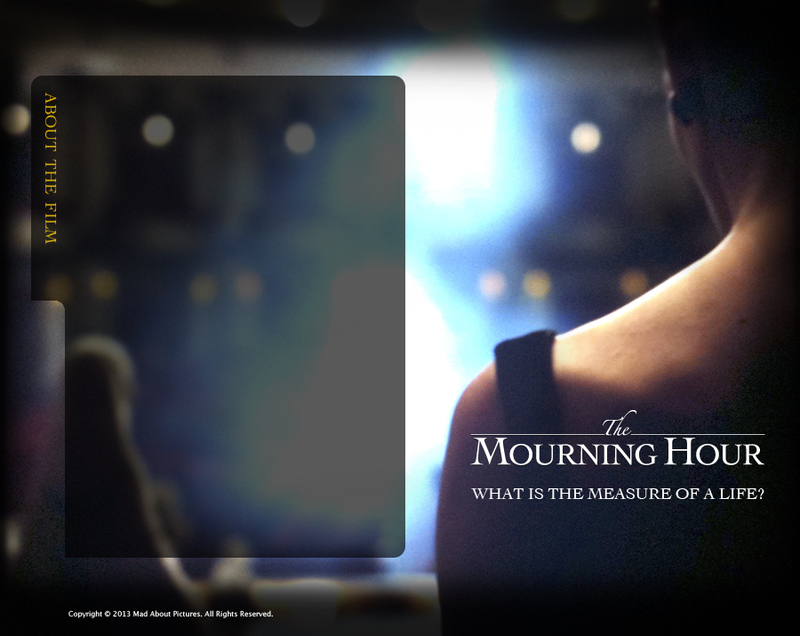 The script for The Mourning hour received early acclaim. It was named the WINNER of the Slugline international Short Screen Writing Competition, where it was hailed as a shining example of how a short screenplay can be as compelling and moving as any feature-length script.